A Woodshed + Simpleton Goods collaboration. A Woodshed + Simpleton Goods collaboration. 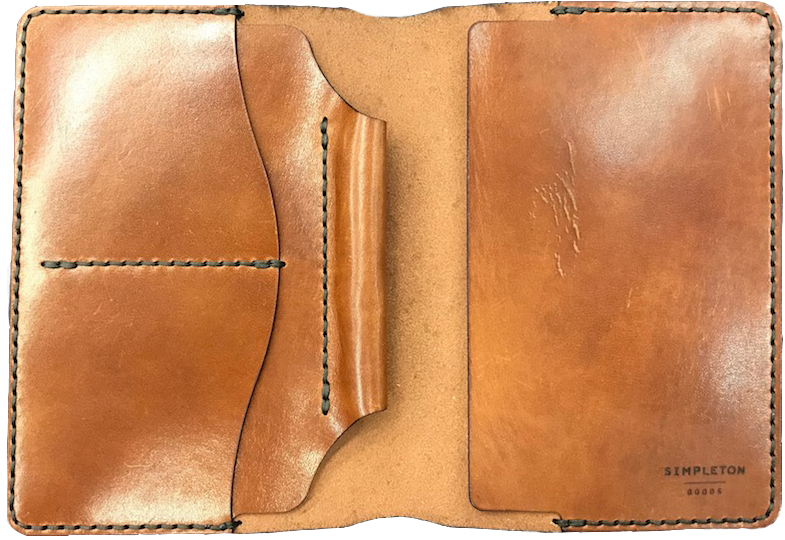 This Traveler wallet has room for a gaggle of cards, your favorite pen, and a a pocket journal! Super top secret compartment on the front for receipts and other classified documents. Hand-stitched by our friends at Simpleton Goods.